Fun fact: 2018 marks my 6 year anniversary of travel blogging. Aside from keeping myself alive, this is the longest I’ve spent doing just about, well, anything. During those 6 years I’ve learned that there is way more to blogging than simply writing a few words, hitting ‘Publish’, and keeping your fingers crossed that someone will read them. There’s SEO! And promotion! And don’t forget pitching and designing and networking and working how just how to use that damn manual setting on your SLR camera. Blogging can often feel like a full-time job even when it’s just a fun little side hobby. Much like any job, however, blogging requires you to keep up-to-date with everything from online changes to new-fangled tech and various pieces of software. My favourite way of doing this? By attending the annual Traverse blogging conference. For the last few years the event has been held in various UK cities from Cardiff to London, but this year saw it cross over to the continent for the first time ever. Taking place in Rotterdam, there was a fully packed week of events for bloggers, with a weekend full of workshops and talks from some of the best bloggers in the biz. Everyone ready and eager to learn at the opening talk on Saturday morning! Now, I could go on and on about why I’d recommend attending a travel conference at least once a year. But, for me, the main reason is this: it allows me to connect with other content creators, and never fails to leave me feeling refreshed and motivated for another year. Ironically, despite the amount of social media plugging you do, blogging can often be a lonely hobby, involving hours of sitting in front of a screen with just your thoughts for company. 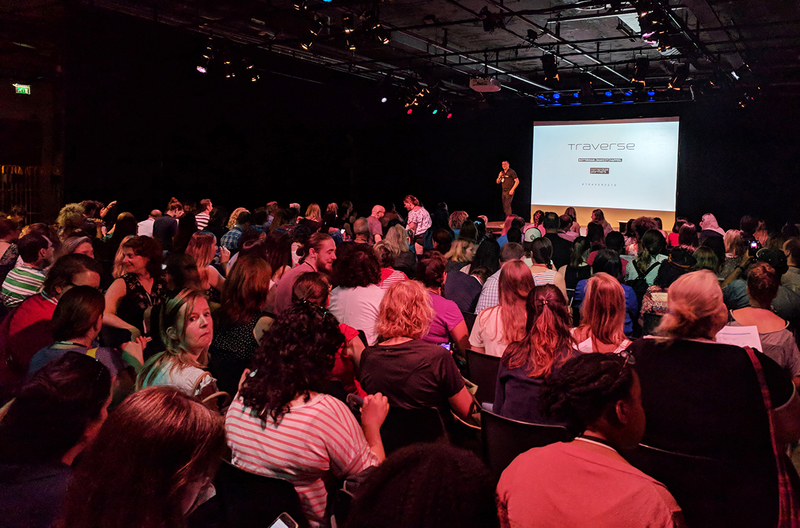 For those of you who weren’t able to attend Traverse this year, please let me know if you have any particular questions about the event or what to expect! 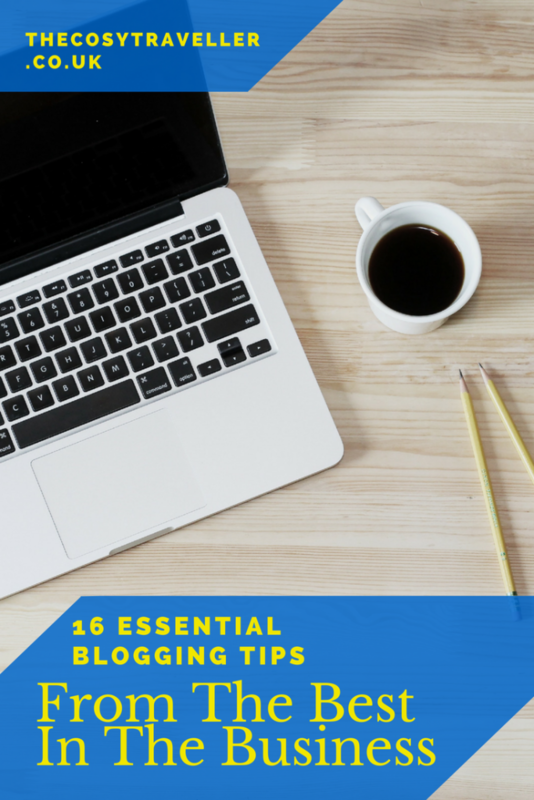 For now, though, here are 16 of the top blogging tips I picked up over the course of the weekend. I loved this point from Cory Varga (from You Could Travel). Cory advised us all that, before writing any post, we should consider who we’re writing for. Is it a fellow blogger? A first-time traveller to a certain country? Or maybe it’s just your friends and family? Whoever you’re targeting, be sure to make a note of it so that you remain focused on tailoring your content to be the best it can possibly be. Ever stared at your Yoast plug-in and wondered just what the hell you should set your SEO focus keyword as? KW Finder is there to make things so much easier for you! By typing in your intended keyword, you’re able to see just how often it’s searched for, and who your competitors are for gaining that all-important first page Google ranking. I’m pretty terrible at this, so I’m hoping to help give my traffic a little helping hand by creating the odd SEO post from time to time. Which makes total sense on many different levels. If I were to write a post around the keywords of ‘new cars for sale’, it’s going to look spammy on all fronts. This is SO OBVIOUS, and yet it didn’t occur to me until Cory mentioned it. If you use a scheduling platform for your Tweets (like Tweetdeck, for instance), schedule in Tweets as soon as you publish a post. Schedule them in one day’s time, and then in a fortnight, a month and a year’s time – or however often you like. This’ll ensure your content won’t get lost, and will resurface from time to time to reach more people. Plus, once you’ve done this a few times you don’t necessarily have to worry about traipsing through your old posts and scheduling in Tweets each week – you’ll have already done it! 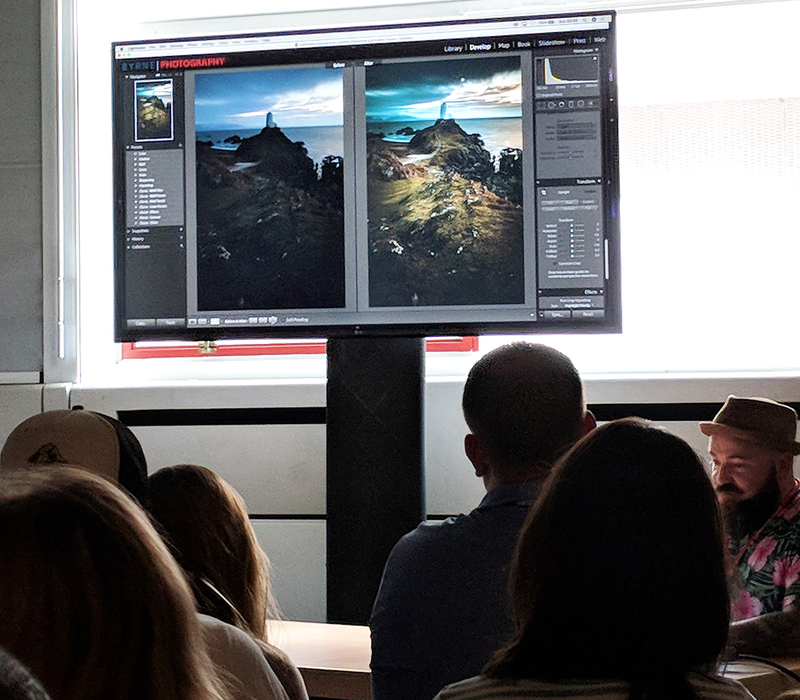 Oh man, if I were to write out everything I learned in Sean Byrne’s Lightroom talk, I would be here until next Traverse. I’ve always used Photoshop until now, but seeing just how much can be done with Lightroom has got me keen to make that switch. Sean taught us about split toning which is probably the most obvious thing to everyone out there, but not to me! And for those of you who want to try before you make the (expensive) leap, Adobe has a Lightroom mobile app that’s completely free. …it’s about proposing a mutually beneficial working relationship with a brand. I think a lot of bloggers (me included!) get a little sheepish about pitching to brands because it looks like you’re just after money. But it’s not that at all. As Emily Leary (from A Mummy Too) quite rightly drilled into us: working with brands is beneficial for both parties, so don’t shy away from it. Know your worth, and just how much you could bring to a campaign. If you’re not sure whether certain brands work with bloggers, it’s a good idea to build a relationship with their PR before you go in with ideas. Introduce yourself, ask how (or if!) they work with bloggers, and only then send through your well thought-out ideas. Enjoying this post? I’d love it if you could Pin it! Another very obvious point, but something I think a lot of us tend to forget. If you write about something that you care about, I always think this shines through in your words. People gravitate towards people who are passionate and know their shiz, so use this to your advantage. 10. Podcasts are the way to go! Another reason why I love Traverse is that the talks always introduce you to different avenues that you hadn’t necessarily considered. Take podcasting, for instance. 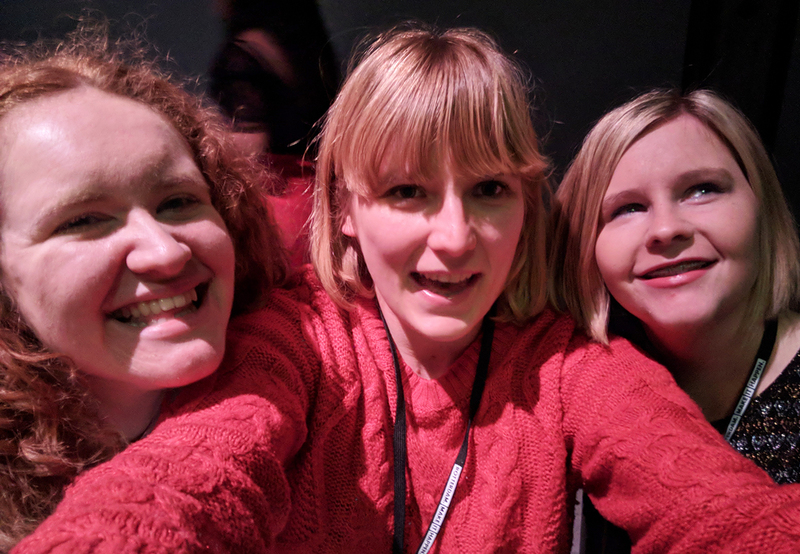 I went to two talks (by Lucy Lucraft and Susan from Best Bits Worldwide), and both of these incredible ladies left me convinced that podcasting is something I need to get into. As well as the fact there aren’t as many podcasts as there are blogs, podcasting offers unique opportunities to reach our to your readers. Think about the number of people who listen to the radio/podcasts when they’re absentmindedly doing something else. There’s a sizeable chunk of an audience out there – you just need to grab them! I shouldn’t be surprised by this fact since I’m always reminded of this every time my comfort zone boundaries get pushed. 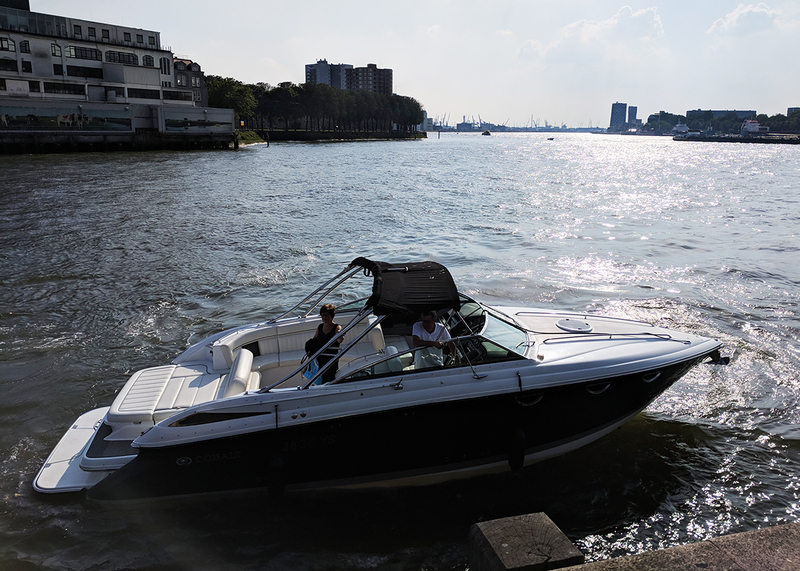 During the conference I hopped on-board a speed boat for a whizz around Rotterdam harbour with a few other content creators. That wasn’t the scary bit though – the terrifying moment was having to climb over the harbour wall, down a ladder with gigantic holes between each rung, and then having to jump onto a swaying boat. And did I mention that I had to do all this while wearing a short skirt? It took me a while to convince myself to do it and yes, it might have been the sight of a dog on board that swayed me into doing it. But I did it, and I now have a pretty epic story up my sleeve. It was a pleasure to listen to Nomadic Matt talk about his many years as a travel blogger. And while we all know him today as an uber-successful travel expert, he’s also experienced his fair share of failure. He even told us about how he once printed out a load of t-shirts, only for barely any to sell! What did I take from this? Don’t be afraid to go bold, and don’t be afraid to mess up. I loved Sophie’s (from Luggage Tags and Ticket Stubs) talk on pitching to travel magazines. We used to work together many moons ago, and it’s been an absolute pleasure to watch her travel writing experience grow and grow. One website she recommended to budding journalists was Journo Resources. As well as offering up lists of jobs and freelance opportunities, the website also gives you an indication of just how much money you can expect to earn. Because there’s nothing more annoying than settling on a name that’s already in use. On a personal level, this is something I’m always reminded of at Traverse. It can be easy to shy away from social events because you’re a bit of an introvert, but there’s always room for all types of personalities. Yes, there’ll be the people partying away in the centre of the dance floor, but there’ll also be small groups gathered together outside with a soft drink and one eye on the clock. What I loved about Traverse this year is that it felt a lot bigger in many respects. There were people from all over Europe, and for the first time in a while I was meeting bloggers from different genres and backgrounds. I was especially inspired by the incredible Sassy over at Thinking Out Loud, who’s a lifestyle and disability blogger. 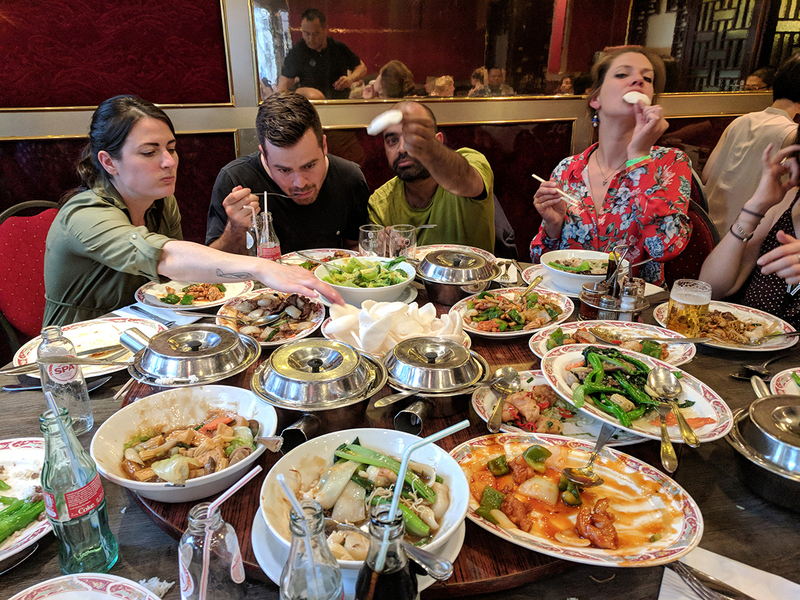 Sassy has been blind for several years now, but that didn’t stop her from travelling over to Rotterdam with her gorgeous guide dog Ida for a weekend of blogging fun! I think everyone was in awe of Sassy’s fab humour and outlook on life, and she’s definitely inspired me to look at things with a different perspective. Which of these blogging tips do you find the most useful? 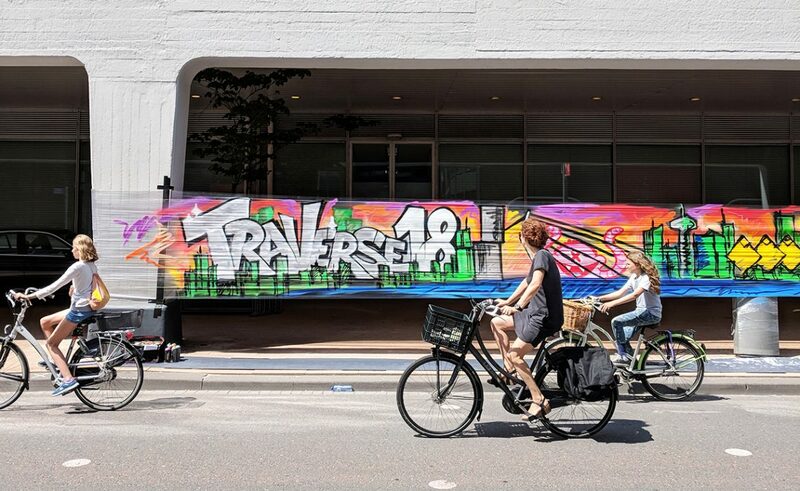 Have you been to Traverse, or would you consider going next year? I was there and I really liked it ! Actually it was my first travel blogging conference, and I learned sooo much ! I’ll probably go back next year ! Loved these – I felt like I was there with you now! I was reading this and nodding along with enthusiasm; even picking up knowledge on the way as I read through it 🙂 The absolute shock when I got to the end realising you tagged me amongst these amazing human beings has made my tummy do a little dance! I was there as well but we haven’t been crossed paths at all I think but good we have Twitter. To be honest I’m super happy you wrote this post because even though there was a lot of amazing content with great presentations I was not able to attend all. As most of the other bloggers I had to decide which workshop to attend and I am happy with my choices but I am also curious on what did I miss. I didn’t make it to Traverse but really interesting to read! I need to look at keyword finders, look at Lightroom more and more importantly try and attend some conferences! Well written post you have here Em. Traverse continues to improve yest on year and it’s lovely to see old and new faces every conference. Excellent post! Thank you for writing this, I wasn’t able to attend and wasn’t sure if blogger conferences were “for me” but now I definitely know they are and I need to get myself out there. You’ve mentioned some useful tips, interesting people to follow and great resources, if I can get this from one of your posts then I can only imagine how much you got from the event!